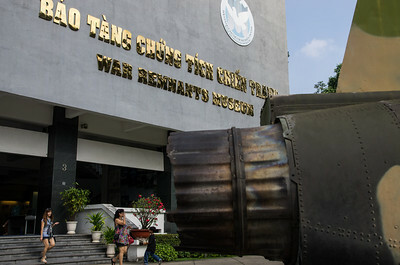 The War Remnants Museum is located at28 Vo Van Tan St, District 3, Ho Chi Minh City. 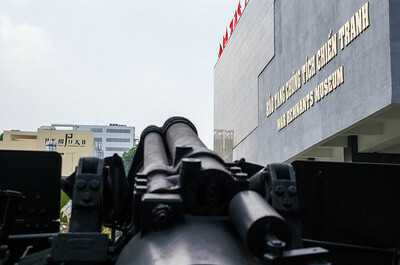 Operated by the government, the museum was opened in September 1975 as "The House for Displaying War Crimes of American Imperialism and thePuppet Government”, focusing on exhibits relating to the American phase of the Vietnam War. 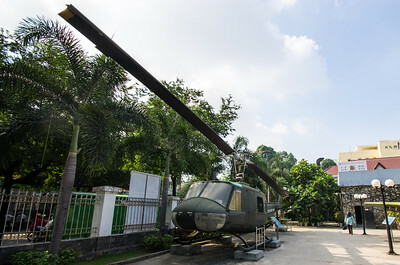 Since then, it has undergone many changes and renovations due to the process of normalization of relation betweenVietnam and theUnited States, such as the change to its current name in 1993. 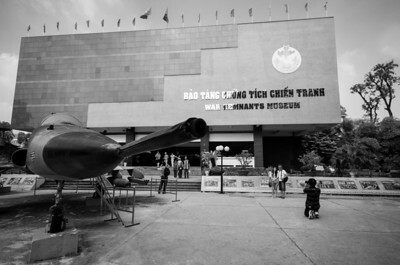 The War Remnants Museum is a comprehensive collection of the machinery, weapons, photos, and documentation of Vietnam's wars with the both the French and Americans (though the emphasis is heavily on the latter). 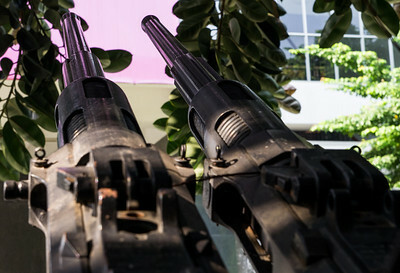 The museum was once called the War Crimes Museum, which should give you an idea of whose side of the story is being told here. 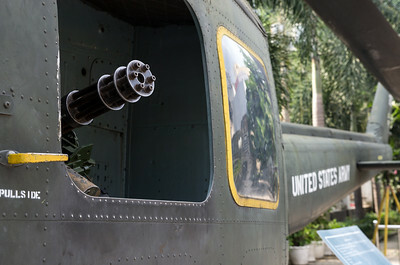 Short of being outright recrimination, this museum is a call for peace and a hope that history is not repeated -- visitors are even asked to sign a petition against the kind of aerial carpet-bombing that so devastated the people of Vietnam. 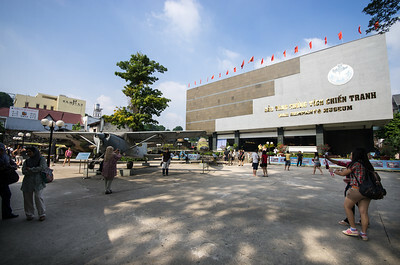 The exhibit begins to the right of the entrance with a room listing war facts: troop numbers, bomb tonnage, statistics on international involvement in the conflict, and numbers of casualties on both sides. 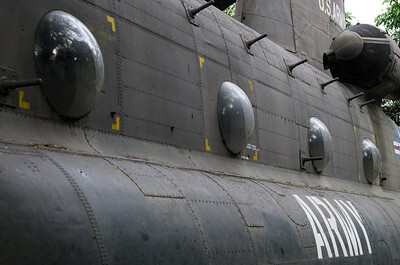 Next is a room dedicated to the journalists who were lost during the war. 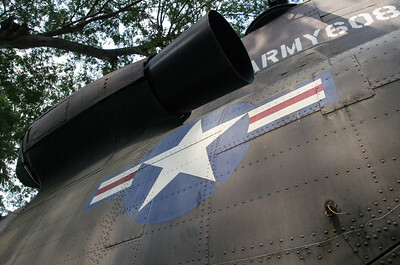 The exhibits are constantly evolving, and the museum is currently expanding and modernizing, improving its presentation and explanations throughout. 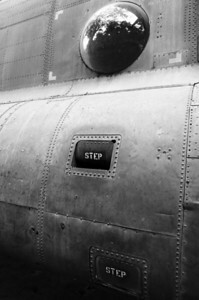 One room is devoted to biological warfare, another to weaponry, and another to worldwide demonstrations for peace. 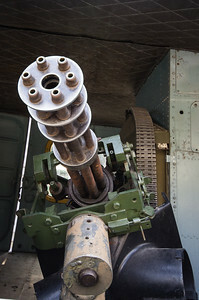 The explanations, which include English translations, are very thorough. 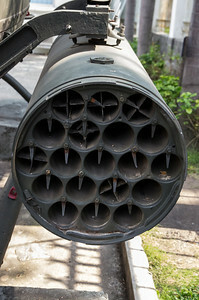 There is a large collection of bombs, planes, tanks, and war machinery in the main courtyard. There's also a model of the Frenchcolonial prisons with tiger cages and guillotine.